Mark your calendars for Super Saturday, the chapter’s annual workshop training for church organists. The free event will take place on April 23, 2016, at the Harris Fine Arts Center, Brigham Young University. Check-in begins at 8:00 a.m. and the workshop ends at 3:00. A complimentary lunch is provided. This year we have a variety of classes for beginning, intermediate and advanced levels. 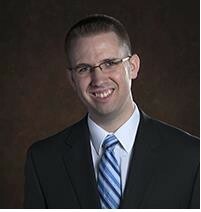 Our keynote speaker is Dr. Brian Mathias, who is the new organ professor in the BYU organ department. He will speak at 8:30. Check out the flyer for more information. This year we have an additional treat. We will hear an organ recital featuring Dr. James Welch, well-known LDS concert organist and university organist and lecturer in music at California’s Santa Clara University. Learn more about Dr. Welch at welchorganist.com. We look forward to seeing you there! Please share this information with anyone you think would be interested in learning more about the organ and improving their playing skills. You can print the flyer and place it on the music rack of the organ in your church. Please contact us at: gro.o1556215306gavu@1556215306ofni1556215306. We will be happy to assist you.